“As ICSID prepares to mark its 50th anniversary next year, investment arbitration specialist Hamid Gharavi of Derains & Gharavi in Paris says it is time to talk about serious shortcomings in the centre’s rules on annulment proceedings – a rare act of public criticism by a frequent user of the centre”. The title of this article refers to a looming issue that is not receiving the attention it deserves: the unbalanced and extraordinary power that the secretary-general of ICSID holds in practice in relation to annulment proceedings at the centre. My comments are not directed at any individual secretary general but at the way the role functions. I have in fact addressed this issue before, in a presentation and publication five years ago to mark the 45th anniversary of ICSID. At the time, however, I only raised it shyly. The elephant was just born, and had not grown to the size it has today. Moreover, I have hesitated to broach the issue again as criticism of any well-established system is often perceived as a sign of bitterness. There is also the risk of being sidelined and of prompting emotional and overzealous defences of the system. I have thus taken a step back – all the while gaining, I hope, a sufficient track record with ICSID not to be portrayed as embittered – and watched the baby elephant grow to a size where it can no longer be ignored. I have been a strong supporter and frequent user of ICSID since I started to practise, and have always favoured ICSID arbitration over other options. I have represented the successful party in over a dozen arbitrations and annulment procedures, and have lost two annulment applications where I was not counsel in the underlying arbitration. In addition, I am a member of the ICSID panel of arbitrators and both the current secretary-general and her predecessor have called upon me to serve on tribunals. In other words, I have every incentive to militate for the status quo. I have decided to raise this issue at last to flag the problem and to instigate a constructive debate to improve the system. At ICSID, the default appointment of arbitrators in theory lies in the hands of the president of the Administrative Council, but in practice it lies exclusively in the hands of the secretary-general, who makes the appointment on his or her behalf. The same goes for annulment proceedings, except that the parties are not allowed to make appointments. Again, it is in practice the secretary-general who makes all appointments. This is the extraordinary singularity of the ICSID system. It has a unique annulment system, overseen by ad hoc committees whose members are in practice all appointed by one person. Compare this with the ICC International Court of Arbitration, where arbitrator appointments are often referred to national committees in good standing, which propose candidates to be considered and confirmed by the ICC Court. Or compare it to applications to set aside non-ICSID awards, which are heard by the judiciary at the seat of the arbitration. The question is whether it is reasonable to leave the task of appointing all the members of ad hoc committees to a single person when this task so often determines the outcome of the case. I submit that it is unwise and unappealing – even more so today considering the exponential development of investment arbitration and the fact that ICSID disputes often involve sovereign property or state public policy measures and have a high monetary value. The issue is aggravated by the fact that the secretary general may express, in public or private, views on the scope of the annulment mechanism – or may, rightly or wrongly, be perceived to have such views. Some secretary generals have in fact expressed such views, since the time of the late Ibrahim Shihata (secretary general of ICSID from 1983 to 2000). It is inappropriate for any ICSID administrative personnel to express such views, particularly when he or she has an exclusive function to appoint annulment committees. Such views can have a practical impact on proceedings. In one annulment case in 2010-2011 in which I acted for the state, Togo Electricité and GDF-Suez Energie Services v Togo, the sophisticated and experienced counsel for the investors defending the award went so far as to plead on the record that annulling the award on the grounds invoked by Togo would hurt the ICSID system and upset the secretary general. His exact words to the ad hoc committee were: “I think that by [not annulling], you would be making ICSID arbitration improve, and I am sure that you will not be displeasing [the secretary general] of ICSID who has again recently declared that ‘the Klöckner era is behind us, it is over’” – a reference to the controversial annulment of the award in Klöckner v Cameroon in 1983. The Togo annulment proceedings came in the aftermath of the wave of criticism that greeted the decisions of ad hoc committees to annul the awards in Enron v Argentina and Sempra v Argentina in 2010. Some perceived, rightly or wrongly, that the World Bank hierarchy also disapproved of those annulment decisions because of the impact on US shareholders’ and creditors’ interests and because of the fear of a revival of the controversy that followed the Klöckner annulment, with all the adverse consequences it may have had on ICSID’s reputation. Whether a plea such as the one made by the investors’ counsel in the Togo case would have an impact does not matter. The mere fact that it was thought to be worth a try is proof of the problem. A source of further concern is the allegations and admissions that have been made, whether accurate or not, that ICSID has intervened in the substantive decisions of ad hoc committee members in certain cases; and that some appointments to ad hoc committees have been based on whether the candidate is perceived as likely to favour annulment. Again, it does not matter whether these allegations are true; what matters is the perception and whether there are checks and balances to prevent this from occurring. There have also been worrying occasions where ad hoc committees appointed by the secretary general have included members of tribunals whose awards are the subject of annulment applications. For example, in the Togo annulment proceeding, Albert Jan van den Berg was appointed as president of the ad hoc committee in November 2010, only a few months after the award he had rendered as a member of the Enron v Argentina tribunal had been annulled by another ad hoc committee. In other words, Togo had to rely on the Enron annulment decision, fresh out of the oven, in its arguments before one of the authors of the Enron award that had been recently annulled. This simply should not be permitted. We all know that most cases are not black and white and that ad hoc committees have some scope to side with either party. Committee members may say that the treatment of their awards by another annulment committee has no influence on their decision-making. But is that enough? As a member of the ICSID panel, I too could be appointed as an ad hoc committee member even though there is a pending annulment application at ICSID against an award I joined in as arbitrator in H&H Enterprises Investments v Egypt. If I declared that this would not influence my decision-making, would observers believe that I was stating a genuinely held view or protecting my stake in the system? Such declarations by human beings with personal and professional pride, denying any form of subconscious bias, are not necessarily enough to reassure all parties to an annulment proceeding and their representatives, who may deserve a right of veto in these circumstances. In any event, the mere existence of a risk or perception of bias undermines the credibility of the institution and arbitral process. It creates discomfort among the parties where there should not be any – especially considering the exclusive nature of the ICSID annulment regime as a means of challenging awards, the absence of any recourses against annulment decisions and the large monetary and strategic interests potentially at stake. There are many instances other than the one mentioned above where the secretary general has appointed committee members whose awards are or have been subject to annulment requests. While the practice of acting as both arbitrator and counsel at ICSID has given rise to some criticism, the dual role of arbitrators and ad hoc committee members has escaped attention. And when one acting secretary-general, Nassib Ziadé, attempted to address the issue by asking members of ad hoc committees not to accept appointments on tribunals, he encountered resistance. In non-ICSID arbitrations, the problem does not arise because annulment applications are heard by judges. For a judge to sit on first-instance and appellate benches at the same time would be unthinkable. I turn to the mechanism to challenge arbitrators and ad hoc committee members at ICSID. Such challenges are heard by the non-challenged members of the tribunal or ad hoc committee. There are exceptions to the peer review of the arbitrator challenge, namely when two of the three panellists are being challenged. In this circumstance, the challenge is heard by the president of Administrative Council, which means again in practice the secretary general of ICSID, the very person who has made the appointments in the first place. In a pending annulment application, Kılıç İnşaat v Turkmenistan, in which I am representing the applicant, two of the ad hoc committee members appointed by the secretary general have had annulment applications brought against their awards in other cases. One of the committee members was appointed only a week after the conclusion of the Caratube v Kazakhstan annulment proceedings, in which I acted for the investor seeking to annul the award that the same committee member rendered as tribunal chair. When I asked the secretary-general to reconsider and appoint someone from the large number of ICSID panellists who were not in a similar situation, she declined. This left my client with no effective recourse. A challenge against one of the two ad hoc committee members would have to be decided by another in the same situation; a challenge to both would in practice be decided by the secretary general, who made the appointments. Again, this is not acceptable. 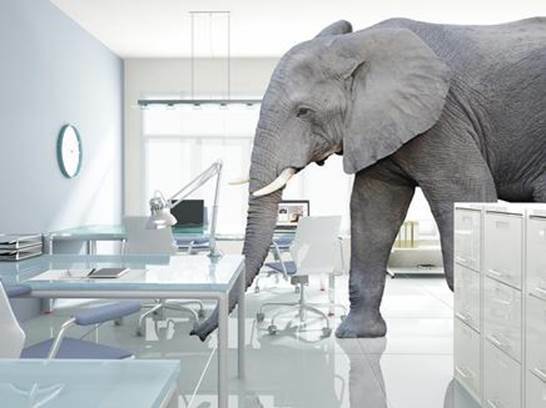 As if the elephant was not already big enough, further difficulties arise when ICSID assigns to the ad hoc committee the same secretary who served in the original arbitration. This duplication of the secretarial role is unique to ICSID, which seems to have adopted it with the good intention of enhancing efficiency in case administration. Yet, it is objectionable. The secretary, whatever their degree of contribution to the arbitration, has had some meaningful involvement in it. They have also had access to confidential information, be it on the arbitrators’ interactions, deliberations and shifts of opinion, the evolution of the draft award, and the factual, legal and quantum issues considered. If the award is flawed, the secretary may feel, or be perceived as having, some responsibility. Criticism of the award may imply some criticism of his or her work. It is thus inappropriate to have the same person serving as secretary of the arbitral tribunal and ad hoc committee in the same case. This is true even if the secretary did not agree with the award and was ignored by the arbitral tribunal; he or she could directly or indirectly attempt to influence the ad hoc committee, or at least be in an embarrassing position. The very fact that the secretary witnessed the arbitration and may have attended deliberations or have confidential information should be a bar to them assisting the ad hoc committee considering the award. In the recent Highbury International v Venezuela case, the applicant seeking annulment in fact officially asked that a different secretary be assigned to the annulment committee. The last factor that has contributed to the growth of the elephant is the immunity that ad hoc committee members enjoy. Their annulment decisions terminate the process once and for all and cannot be challenged, whether at ICSID or at the enforcement stage before the courts of the ICSID Convention’s contracting states. This may be a factor accounting for the growing number of ad hoc committee decisions where the underlying reasoning is poor or lacking. Take one recent ICSID annulment decision in favour of my client, US investor Joseph Lemire, against Ukraine. In that case, the ad hoc committee dismissed Ukraine’s application to annul a decision on jurisdiction and liability that was incorporated in the final award, on the ground that the state had waived its right to do so by failing to object to procedural violations relating to the decision between the time it was rendered and the issuance of the final award. As a result, the state could not rely on the truckload of annulment grounds relating to the decision on jurisdiction and liability that it was using to challenge the final award. Despite the view of one of its members (who filed a concurring opinion) that these grounds should be addressed, the ad hoc committee simply said that the grounds would not have led to an annulment had they been entertained, without giving the slightest indication as to why. It was a sour victory for the winner, and a sour defeat for the loser from a purely legal perspective. The reality is that some of these decisions would not pass the scrutiny of the ICC Court or a national court. It is difficult to annul an award under most arbitration systems. And it should remain this way, because an annulment is not an appeal per se except when it comes, in certain legal systems, to jurisdictional questions. Yet, the very term “annulment” has become a taboo in the world of arbitration, as if it were a revolutionary act against the system with an entirely negative impact. This adds an inappropriate psychological barrier to the existing legal barriers to annulment. At ICSID, the barrier has reached an undesirable height. Since the Klöckner era, the pendulum has swung from one extreme to the other. As a result, the ICSID system is in danger of no longer being perceived, even by some of its greatest supporters, as a fair mechanism to resolve investment disputes of such monetary and strategic importance. Admittedly some of the flaws I have described in the annulment system appear to be the result of well-intended measures to remedy its shortcomings and avoid unbargained-for annulments. Yet, they have created other pathologies, far worse in my opinion. In fact, I candidly admit that, in the past few years, I have won at least one annulment case that I deserved to have lost and lost another that I deserved to have won. I attribute this to one or more of the flaws in the system I have outlined in this article. As stated, what matters is perception – and mine will remain negative until these flaws are remedied. In this context, how could users not be considering alternatives such as the ICC, where awards are scrutinised; arbitrators are nominated on the basis of a collegial system; checks and balances are in place to oversee the process of appointment and challenge of arbitrators; applications to annul awards are heard by judges at the seat of the arbitration; and there are further safeguards available to the losing party in third countries where enforcement is sought. The cost-effectiveness of ICSID and its favourable enforcement mechanism are no longer sufficient to shift the balance in favour of the centre, even for claimants. And when a supporter and frequent user of ICSID such as myself reaches this conclusion, it means that the elephant has outgrown the room, and solutions must be explored. assigning a different secretary to the annulment proceedings than the one who served in the original arbitration. The principal beneficiary of these measures may be the ICSID secretary general, who will likely be delighted to have this difficult and thankless task of appointments lifted from his or her shoulders.